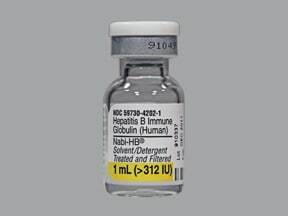 Who should not take Nabi-HB Vial? 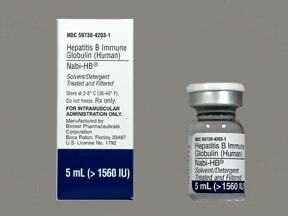 List Nabi-HB Vial side effects by likelihood and severity. Does Nabi-HB Vial interact with other medications? Not applicable. This medication is given in a hospital or doctor's office and will not be stored at home.Information last revised July 2016. Copyright(c) 2016 First Databank, Inc.
Are you taking Nabi-HB Vial? Are you considering switching to Nabi-HB Vial? How long have you been taking Nabi-HB Vial?